Ranking plays a big role in improving the brand recognition of your company. And if you are trying to get into the top three pages of the organically generated search engine result relevant to your search term, then you need to strengthen your SEO strategy. Search engine optimisation (SEO) strategy is a vast subject and there are innumerable ways that allow you to gain authority from the search engine. 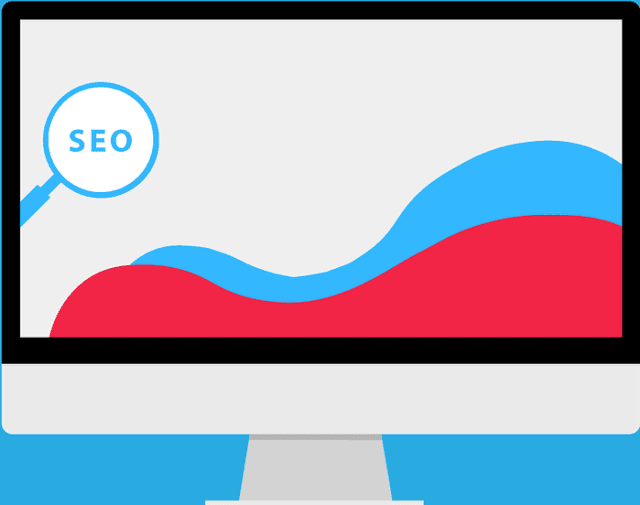 However, one of the most important elements of any SEO strategy is getting the keywords right. Keywords are those terms that are used by the viewers to search for some information on the Internet. You need to find out which keywords are important for your company and then place them cleverly in your contents. While placing the keywords in the contents make sure not to cross the 2 percent mark of the entire content or your website will be penalised for keyword stuffing. There are both free and paid services that will help you to get the right keywords that are relevant for your website and are used by the search engine crawlers to index your website and its algorithm to rank you in response to a search query by a viewer. In this article, we will try to explain to you about the things to look for when you are searching for keywords and the importance of ecommerce website design in improving the overall ranking of your website. While keywords play an important role, you need to first lay the foundation so that the search engine algorithm gives more weight to your website. If your website is in operation for a long period of time and has a strong presence on other social sites, it will have an SEO advantage. If it has a strong presence on other blogs, forums, websites or YouTube channels then your website will also get a higher ranking compared to other less popular sites. When you are trying to figure out which keyword will get your website the best ranking, then you should never depend on your instincts only. There are innumerable programs on the Internet, which are both paid as well as free that will give you relevant keywords with the volume of their usage and how much competition, you will get if you use them. While doing your research, you should look for similar sounding keywords that have a high search volume. You should always use such keywords on your ecommerce website. While looking for keywords that have high search volume sounds great, you should also look at how much competition each of these keywords has through the keyword generating tool. If a keyword has a high volume but also has a high competitive index, then you should not use it. It will not give you the desired results. In order to understand how much competition, you will get when you are researching for a keyword, then you should look for the following things. • How many domains are there with the same matching keywords? • How many title tags use those keywords? • What kind of product pages uses those keywords for ranking purposes (blogs, videos, social media or product pages). • Are your major competitor’s big businesses that use those keywords on their website? • How authoritative are the websites of your main competitors that use the keywords that you are trying to incorporate in your content, meta tags, as well as titles? When you are researching for keywords to put into the website of your online shopping store, then you should always look for the long tail keywords. Long tail keywords are an excellent way to understand the true intent of the viewer. Even the search engine algorithm gives more prominence to the long tail keywords while ranking a website. • Write articles, which are relevant to the keywords. Make sure that these articles are at least 1000 words long. While researching keywords is important, it is imperative that you implement a successful search engine optimization strategy to improve the chances of your website in getting a higher ranking. Do not rush to your plans, you need to realise that search engine algorithms are looking more for quality than quantity. Do not stuff your contents with keywords or you may be penalised for adopting ‘Black Hat’ techniques. When you are developing the content, make sure to use your keywords in the right place to get the maximum benefit. You can use the keywords in the title, meta tags, the first few lines of an article in such places which are given more focus by the search engine crawlers when they are trying to index your website. Marketing your website is very important as there are innumerable other websites vying for viewers’attention. To promote your e-commerce website on the Internet, you should take the help of platforms like Twitter, Instagram, YouTube, Quora, LinkedIn, Pinterest and Facebook. Social websites not only allows you to reach out to a vast number of people but also helps you to identify your tar audience so that you can reach out to them in a more effective manner. This last step is also very important if you want to rank higher in any organic reach generated search engine result based on keywords which are relevant to your website. Analyze your contents thoroughly to find out whether they are of high quality and will interest the viewer so that they will come again your website looking for more information. Ranking your ecommerce site on Google is no easy feat. Keep these SEO tips in mind to make sure your online store can be found and sell what needs to be sold to turn a potent profit. Author Bio: Shubham Sharma is currently working as Content Manager with reputed SEOExperts India. I have a great passion for digital marketing and I help small and medium-sized businesses improve their online presence and grow their revenue by formulating effective digital marketing strategies for them. I have a keen interest in Entrepreneurship, India PPC, Online Reputation Management, outsource link building services, Quality Link Building, Tech Consultancy, SEO, PPC, and other related fields. I hope you enjoyed this blog post about how to improve e-commerce website keyword ranking on Google searches. Interested in more articles about e-commerce SEO?